Like wearing clouds on your feet, the heavenly feel of these Elle Fluffy and Cosy Blissful Bed Time Socks will help lull you to sleep every night for the sweetest dreams. This twin pack of colour-striped bed socks are made with incredibly soft, lightweight and fleecy fibre, both inside and out. 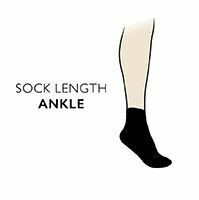 The socks have very slight elastication to keep them on through the night, but not so much that the socks will constrict or pitch, making them super-comfortable. Each pair has a single ‘Love Elle’ tag on the cuff and the set comes with an attached gift tag.